New Brunswick has made great progress in helping autistic preschoolers and students. In both age groups children receive ABA instruction by autism support workers (preschool) and teacher assistants in the schools. Premier Graham has partially completed a pledge to the Autism Society New Brunswick by training two of four classes of teacher assistants at the UNB-CEL Autism Intervention Training Program. And yet there is determined opposition from some within the school system. MONCTON – The Union representing the teacher assistants throughout the schools in New Brunswick is asking the government to put an end to the practice of laying them off each spring. “This practice shows a complete lack of respect for some dedicated women who have been working in the schools for many years. This is appalling,” said Sandy Harding, President of CUPE 2745 which represents more than 3300 members across the province. “School District 2 in the Moncton area just laid off 37 teacher assistants. Contrary to the schools in the northern part of the province where families are moving because of the economic situation, this region has seen an increase in school enrolment. There is no justification for such a large number of teacher assistants receiving their pink slip in School District 2. This represents 12% of the TA in that school district”. “Across the district, close to 115 teacher assistants will be affected simply because of the bumping process that will take place”. “Parents of autistic children and other special needs children have been asking for more stability in the schools. Instead of creating stability amongst the staff, the school district is creating a chaotic situation. The movement of teacher assistants is bad for the kids, the teachers and the parents. “This type of practice is not what Inclusive Education is all about. It creates disruption in many classrooms and there is no stability and consistency for children that badly need it,” explained Harding. “It is also unacceptable that some women are losing their job because they have been unable to take the additional training required to work with autistic children, called “Applied Behavior Analysis”. If the government is asking teacher assistants to have this certification in order to work with autistic kids then it should make sure that the training is available for them”, added Harding. “The school district should rescind these layoffs and stop these ridiculous processes that disturb the livelihood of mostly low-wage women", concluded Sandy Harding." In the first highlighted section above Ms Harding purports to speak for parents of autistic children. She has no authority or legitimate basis to speak for parents of autistic children. The autism society has sought stability but it is the bumping process that takes place, for union seniority reasons, at the start of each school year that creates the instability that parents are concerned about. For many autistic children change is very problematic. Some are getting used to a teacher assistant only to have them changed early in the school year. I know because my son went through that experience a few years ago. Ms Harding goes on to refer to Applied Behavior Analysis and says "IF the government is asking teacher assistants to have this certification in order to work with autistic kids then it should make sure that the training is available for them". In the first place it is parents of autistic children and the Autism Society New Brunswick who fought to have ABA in our schools because of the solid evidence basis for the effectiveness of ABA as an autism intervention. Further, the government has provided the training required. And many teacher assistants represented by CUPE Local 2745 have received that training. What Ms Harding objects to is the fact that UNB-CEL has entrance requirements for the training program and not all who apply are accepted. Some are unable to successfully complete the program. The quality and integrity of the UNB-CEL Autism Intervention Training program are keys to the success of the program and its acceptance by parents who want their autistic children to receive a quality education. The excellent instructional staff and course curriculum contribute to that success. So too do the entrance and graduation requirements for the program which are within the control of UNB-CEL and not the Department of Education or CUPE Local 2745 and they should stay that way for the good of our autistic children. CUPE Local 2745 has taken the position that the seniority rights of teacher assistants lacking the autism training should prevail over the needs of autistic children in New Brunswick schools. The union has filed grievances when schools have tried to assign an autism trained TA to work with an autistic child instead of assigning the position to an untrained TA with more seniority. Their grievances and public pressure seem to be succeeding in some school districts such as district 2 in Moncton where untrained TA's are being assigned to work with autistic children instead of assigning UNB-CEL Autism Trained TA's with less seniority. In some cases the school has waived the exceptional circumstances provision that entitles the school to assign based on the child's best interest instead of seniority. One of the highest principles in our legal system is that, in matters involving children, it is the best interests of the children that should prevail over competing interests. Parents appreciate the work done by TA's and respect their need for employment security. But not at the expense of our children. The professional literature is clear on the importance of ABA for autistic children. And proper training is critically important. In insisting on seniority over proper training for working with autistic children they are not acting in the best interests of our autistic children. Quite the opposite. In British Columbia and New Brunswick, funding is available for children with autism to bring support workers specially trained in IBI and ABA therapy into public-school classrooms. In Ontario, the government will only pay for teacher's aides, and IBI and ABA therapists are not allowed in the classroom. In New Brunswick we do have ABA instruction, for autistic children, in our schools but it is not provided by therapists brought in to the school. What we have done in New Brunswick is provide autism intervention training to teacher aides/assistants. The training is provided at the UNB-CEL Autism Intervention Training Program. The TA's receive essentially the same training as provided by UNB-CEL to pre school Autism Support Workers. The TA's must meet UNB's entrance criteria to enter the program and must pass both academic and practicum components of the course - which not all of them do. Resource teachers have also been trained as Clinical Supervisors. 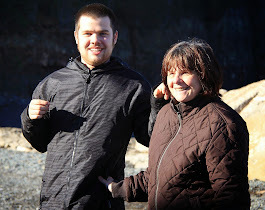 Apart from the TA training, New Brunswick has accommodated the needs of those autistic children like my son who require a quieter setting outside the regular classroom to learn. My son receives his ABA based instruction in a small room with his TA. He goes to the school gym and pool and outdoors for physical activity, to the school library, and to a kitchen to learn some kitchen skills. Conor also helps with tasks at the school such as lowering the flag. Other children see him in the common areas mentioned and in the hallways and some say hello to him by name as I walk with him in the halls to take him home at the end of the day. Some autistic children do well in the regular classroom and their aides are permitted in the classroom. The Autism Society New Brunswick lobbied hard for autism specific training for aides working with autistic children. ASNB also fought hard to move away from a philosophy based total classroom inclusion for all approach to an evidence based approach which focuses on teaching autistic children where, and how, they learn best, an approach that looks at the needs and abilities of the individual child. This is how ABA is used to teach autistic children in New Brunswick schools. Alleged federal Health Minister Tony Clement is not known for facing tough issues head on. Although he is the federal Health Minister he refuses to use the federal spending power to send dollars to the provinces to ensure that ALL autistic children receive effective evidence based treatment for their autism disorders regardless of where their parents live. Mr Clement hides behind provincial authority but does not credibly explain why federal money can't be sent to the provinces to be used for autism treatment. There is no dispute that treatment is needed and I find it hard to believe the provinces would refuse federal money to treat autistic children. Clement's arrival in Denver on Monday drew fire from the Liberals. "While Mr. Clement is enjoying himself at cocktail receptions at the Democratic National Convention in Denver, people back home are dying," said Liberal health critic Carolyn Bennett. Clement fired back, saying that Agriculture Minister Gerry Ritz was the lead minister on the massive food recall that followed the listeriosis outbreak. "Health" Minister Clement may be able to void questions about Canadians dying from listeriosis while wining and dining at the Democratic Convention in Denver but he has been unable while there to hide from autism which he routinely ignores in Canada. Both Senator Hillary Rodham Clinton and former President Bill Clinton mentioned autism in their prime time speeches Tuesday and Wednesday. I will never forget the parents of children with autism and other severe conditions who told me on the campaign trail that they couldn’t afford health care and couldn’t qualify their kids for Medicaid unless they quit work or got a divorce. Although "Health" Minister Tony Clement is oblivious to the challenges confronting families with autistic children in Canada the same can not be said of the Senator and President Clinton. They get it. It is probably too much to hope that some of their autism awareness might rub off on our Minister Clement. But hopefully when he is not enjoying cocktails he can reflect on their words and start taking autism seriously in Canada where he is, in name anyway, our federal Health Minister. I was surprised to receive from you, an Alberta MP, a House of Commons mail out. As a resident of Fredericton, New Brunswick, I am used to receiving such flyers from our MP Andy Scott. "Andy" as he is known by Frederictonians has been an outstanding representative for our riding and for a cause which is very close to my heart - the cause of autistic children and adults. Your pamphlet did not address autism or any other major health issue confronting Canadians. Instead you used your Parliamentary mailing privileges to reach across Canada in an attempt to stoke fear of crime in Canada; sending a pamphlet featuring a picture of a young man, unshaven, wearing a sleeveless undershirt slouched on a couch with a beer. I am not impressed. Since you did reach across this great country to communicate with me Mr. Storseth I will let you know what does concern me as the father of a 12 year old boy with Autistic Disorder. 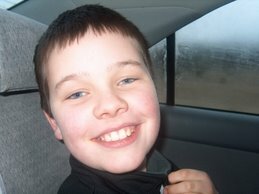 I ask that you encourage Mr. Harper to stop ignoring the plight of autistic children in need of treatment across Canada. Stop pretending that the federal government can not use its tremendous financial resources to ensure that autistic children, wherever their parents reside in Canada, receive the evidence based treatment they need to live as full a life as possible. The Canada Health Act exists despite jurisdictional concerns. Mr. Storseth since you have adopted me as a constituent I ask that you encourage your party leader Stephen Harper to adopt a real National Autism Strategy. Send federal dollars to the provinces to ensure that every autistic child receives evidence based treatment regardless of their parents' postal address. You have reached across the country once; you can do it again - for autistic children. 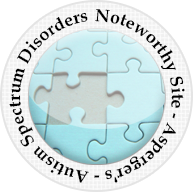 Autism, Asperger’s Disorder, or PDD-NOS? Are you between the ages of 21-75? Are your cognitive abilities within the low average to above average range? feel about relationships and sexuality? University of New Brunswick (Fredericton, Canada). The purpose of this study is to better understand sexuality and relationships of adults with high-functioning autism spectrum disorders (ASDs). The information collected from the study may increase knowledge of how best to help teens and adults with ASDs experience healthy sexual development. Participation in this study involves completion of a set of online questionnaires at www.unbstudy.com that will take between 45 minutes and 1¼ hours to complete. 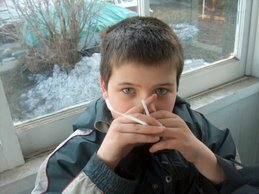 Autism and Stealth-Adapted Viruses - Science or Non-Sense? A double blind research study to evaluate the safety and effectiveness of methods aimed at activating an alternative cellular energy (ACE) pathway in the therapy of autism and related childhood disorders. The study involves the scientific discovery that autism and other unexplained disorders are caused by viruses that escape immune recognition. These viruses are called stealth-adapted viruses. The major advance is that the existence of stealth adapted viruses has helped bring into focus the discovery of an auxiliary virus defence mechanism that involves an alternative cellular energy (ACE) pathway. Fortunately, the body has an anti-virus defence system other than the immune system. This pathway can be activated using enerceuticals. Activation can lead to symptom improvements and, importantly, can also potentially prevent autism from occurring. The Centers for Disease Control and Prevention (CDC) will receive additional funding for autism research through the Combating Autism Act signed into law today by President Bush. Let’s hope it will use a modicum of this funding to confirm and extend findings that indicate active virus infection in the majority of autistic children. The viruses found in these children do not activate an effective anti-virus immune response and have, accordingly, been grouped under the term stealth-adapted. In spite of repeated requests, no formal effort has been made within CDC to perform stealth-adapted virus testing on children with autism. Contributing to this indifference is a lack of real expertise in atypical viral infections and a political concern that some stealth-adapted viruses arose from the simian cytomegalovirus of African green monkeys (SCMV). As confirmed by studies within the Food and Drug Administration (FDA), earlier batches of live polio vaccines were not uncommonly contaminated by SCMV. Autism is a descriptive term for symptoms attributed to brain damage. By many measures, an increasing number of children are showing this affliction. Indeed, the phase “autism epidemic” is widely being used in the media. Yet, why hasn’t serious consideration been given to a potential underlying infectious cause? Again, this is partly because most of the professional dealing with this disorder are not microbiologists and sadly, also because a lot of money is being made from parents of an ever expanding pool of patients. An infectious cause for autism is not only suggested by its increasing prevalence but also by chronic fatiguing illnesses that are commonly present in other family members. Parents of autistic children will sometimes deny any symptoms hoping to keep the focus on their son or daughter. Closer questioning, however, will often reveal less than stellar health with fatigue, impaired sleep, poor memory and other symptoms consistent with ongoing brain damage. Indeed, it is reasonable to have predicted that such parents were at an increased risk for having a child slip into autistic behavior as he or she faced the emotional challenge of socialization. It can also be argued that a stealth-adapted virus infected infant may be especially susceptible to additional damage caused by vaccinations that can potential over activate the immune response. For the most part I rely on responsible expert professionals to make those determinations. To that end I frequently cite reputable reviews of autism interventions such as the US Surgeon General, the MADSEC (Maine) Autism Task Force, the New York State Department of Health and the American Academy of Pediatrics. 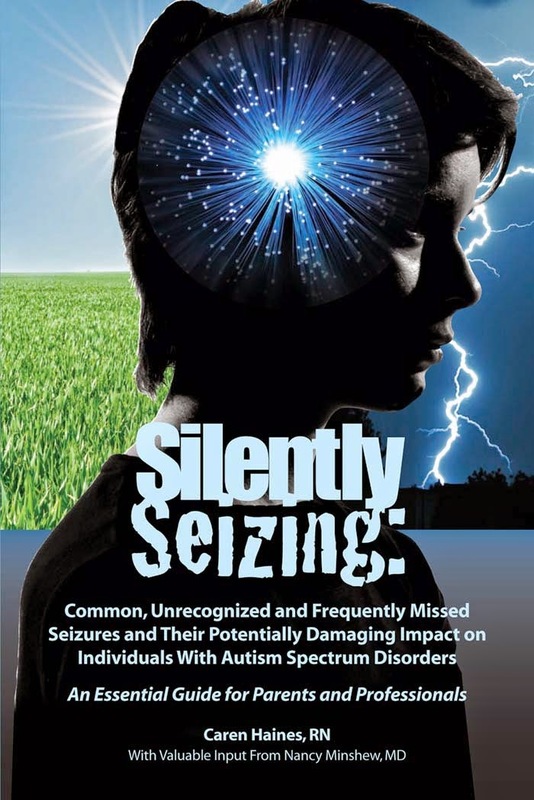 I have found no mention of Dr. Martin's "stealth-adapted viruses"theory or his "activation of alternative cellular energy (ACE) pathway" treatment mentioned by any credible review of autism and autism treatments. The "stealth-adapted" virus concept does not appear to have been picked up by Dr. Martin's professional colleagues. It does not appear to have been take seriously by medical professionals. Now we have an "investigational study" being conducted. Some of those who are encouraging parents to have their children participate in this studies are "true believers" in Dr. W. John Martin and his work. I recently engaged in a Facebook "discussion" with some of Dr. Martin's advocates. I had a few weeks ago posted a response to a comment by BJ McKelvie who cited a 1999 article about ABA and other scientific autism treatments. Then recently someone named Cherie Pettie commented on the same thread and accused me of being "ignorant" and "uneducated". When I pointed out that I had read some of what Dr. Martin has had to say I was told by Ms Pettie that I should call Dr. Martin and speak to him personally if I wanted to understand the man and his work. Expressions of faith in Dr. Martin are encouraged, serious questions are discouraged. Ms Pettie and Mr McKelvie are strong proponents of Dr Martins' treatment theories. Their belief is disturbing to me. Mr. McKelvie at least partially finances the current "investigational study" with proceeds from "I'm in here". Both he and Ms Pettie are already convinced that the treatment works and that is the message they are delivering with great fervor, to parents when asking them to participate. Their strong belief in Dr. Martin is interesting but faith and belief do not necessarily make for good science. This investigation is done at home in the childs least restrictive environment. It's administered and documented by the parents who become “clinical investigators” under the direction of “The Institute of Progressive Medicine” Burbank, California. It is understood that bringing children who battle autism into clinics or hospitals enduces “meltdowns and the related stress can trigger epileptic seizures in those who battle autism related epilepsy. The treatment can be done while the child sleeps at night in bed or is awake. This decision is best left to the parents. For this study a "clinical investigator" is simply someone who administers the treatment and takes notes under strict guidelines. There are several protocols to follow during the study. A baseline is first taken on the child’s current condition, then the treatment is administered then the parents are required to complete online weekly clinical data journal of the child’s progress. I see nothing wrong with parental input in professional studies. I do see a problem when those parents are recruited with emphatic personal testimony that the treatment being studied works. I see a problem when any questioning of Dr. Martin's theories is met with outright hostility. With such a biased foundation I find it doubtful that the ACE Pathway "Investigational Study" will be anything more than an exercise in affirming the work of Dr. W. John Martin; a study with little or no scientific value. Outstanding UK guitarist Jon Sterry is supporting the UK Autism Foundation which aims to create an autism center in London. Ivan Corea of UK Autism Awareness forwarded this Youtube video of Sterry playing guitar. At a stop in Big River Saskatchewan alleged federal Health Minister Tony Clement took questions on federal health care initiatives including some from Carolyn Forsey the mother of an autistic child. Ms Forsey had previously written to Health Minister Clement urging the federal government to create a strategy for autism. Minister Clement said that there’s some initiatives the federal government have been working on, but the partnership must be created with provincial health care entities first. “We do have national focuses, but it’s not as if we can take over what the provincial responsibility is,” he said. The fact is the current federal government of Prime Minister Stephen Harper and Health Minister Tony Clement has done little to help autistic children and adults in Canada. Constitutional authority for health care is primarily provincial. But the federal government has substantial spending power which it is not prohibited from using in health care areas. That is how we have a Canada Health Act. Canadians do not need the federal government to "share best practices". That is pure nonsense. Best practice information is readily available on the internet and from world sources. The "national autism symposium", rescheduled from an earlier date to avoid participation from autism parent advocates, was a sham, a "facilitated" discussion with strong parent advocates excluded, the results of which do not resemble the internationally known and respected sources such as the American Academy of Pediatrics, the New York State Department of Health, the MADSEC (Maine) Autism Task Force Report and the US Surgeon General's Office. What the federal government could do to be helpful in addressing Canada's autism crisis is exactly what is needed. It could use the federal spending power. It could loosen federal purse strings and use its spending authority to make funding available to the provinces for evidence based interventions for autism. That would be a huge step forward in ensuring that autistic Canadian children across Canada would receive the help they need - regardless of where their parents live at any given moment. Instead of the funding help that is needed to ensure that autism interventions can be offered across Canada the alleged Health Minister, Tony Clement, prefers to do nothing. While autistic children grow older, without the help they need, federal Health Minister Tony Clement offers nothing but empty rhetoric. 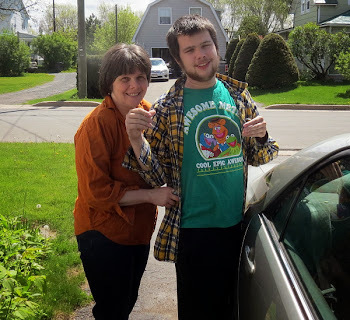 In Helping kids with autism shouldn't be a lottery Bobbi-Lynn Hall reports on Nova Scotia's lottery system, a system which is clearly and obviously morally bankrupt. I do not make that characterization lightly. I was born in Waterville, Kings County, Nova Scotia, bordered by Annapolis, Lunenberg and Hants County. 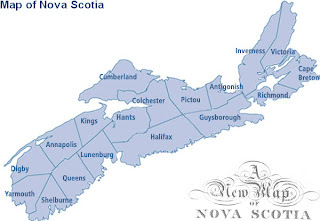 My parents, a brother and three sister and their familes, my aunts, uncles, cousins, great uncles and aunts, most of my extended family lives in Nova Scotia. I vist regularly. The people of Nova Scotia are good and decent people. But the government of Nova Scotia ,in reducing the life prospects of autistic children to a game of chance, is acting immorally. The people of Nova Scotia are better than that. And their autistic children deserve better. Is Ontario's Autism Shame Contagious? Ontario NDP health critic France Gelinas has blasted Dalton McGuinty's Liberal government, in an article in the Sudbury Star, for its shameful, on-again, off-again commitment to providing treatment to autistic children, leaving many of them languishing on waiting lists where some never actually graduate to receive treatment. Families have actually left Ontario altogether for Alberta where programs are fully funded. That western province and its comprehensive funding for autism attracted a world autism expert from Ontario. More could follow. We have a choice to create the kind of Ontario we want. In my Ontario, autism treatment would be fully funded and the children's needs addressed. Along with my MPP colleague, Ontario's NDP Critic for Autism, Andrea Horwath, I believe there should be an immediate increase to the funding of autism services so regional centres can respond to the needs of these children. To hold back on funding while children and families continue to suffer and struggle is inexcusable. Each day children with autism languish on waiting lists and are denied access to services is another day that their potential for progress and success is thwarted by the McGuinty government's inaction. We can -- and must -- do better. Hopefully, the lack of concern for autistic children exhibited by the Ontario government is not contagious. 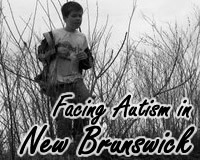 Here in New Brunswick a praiseworthy autism service delivery model for children has been built. But we are hearing rumblings that the next budget will see funding for autism services cut. Hopefully the rumours are wrong and Premier Shawn Graham will continue to back up his expressed concern for autistic children by providing the required funding as he has during the first two years of his term. Canada has an autism secret. It's too bad really because this is a not a dark, horrible secret. It is a good news secret. The secret is New Brunswick's autism service delivery model for children. Nova Scotia and Ontario have made negative autism news recently because of long treatment waiting lists in Ontario and a lottery system in Nova Scotia that is forcing some families to move elsewhere looking for early intervention for their autistic children and ABA based education for autistic children in Ontario schools. Here in New Brunswick all is not perfect but we are doing well with little ... so far. We have had success which has drawn some attention at events like the CAUCE Conference 2008 and the ABA International Symposium in Chicago, 2008. In New Brunswick we have an agency system for delivery of pre-school autism interventions. The agencies are monitored by government and have trained Autism Support Workers and Clinical Supervisors providing pre-school intervention to autistic children. The ASW's and CS's receive their training though the UNB-CEL Autism Intervention Training Program. No model is perfect but New Brunswick does not have the severe waiting list problems experienced by so many in Ontario. In education New Brunswick has avoided the fights over whether ABA can be practiced in the schools. My son, Conor, has been receiving ABA instruction in a separate room for over 3 years. New Brunswick has begun training teacher aides and resource teachers to provide ABA based learning in our schools during this time period. They also receive Autism Intervention Training at UNB-CEL. Conor is in a separate classroom, at our request, because, for him, the mainstream classroom is not an appropriate learning environment. He was overwhelmed in the classroom, coming home with bite marks on his hands. He is not on the same learning level as his chronological peers and it made no sense to have him being taught a radically different curriculum by different teaching methods. He does go to the field house or gym for physical activity and the school's swimming pool. He also learns skills such as cooking or helps around the school with small tasks like lowering the flag. New Brunswick has moved away from a rigid inclusion model of dumping everyone into the same classroom to one of accommodating different learning styles for students with serious learning challenges. The swimming pool at Conor's school is also the community pool, the Fredericton Indoor Swimming Pool. We have an annual family pass and use it frequently; 3 to 5 times a week. Last night we were at the pool and the teacher aide who worked with Conor last year was also there. Conor was excited to see him. Afterward, as he has periodically as the summer wore on, Conor was again asking for school. A pretty good recommendation for New Brunswick's autism education model. New Brunswick's autism service model is not perfect. There is a need for more funding to retain trained personnel in the pre-school years and to increase the number of hours of therapy received per week. 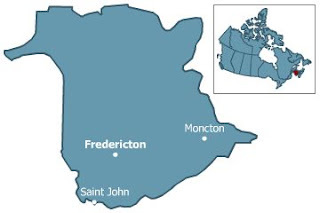 If Canada ever elects a federal government that gives a damn about autistic Canadians then we might some day see federal health care dollars for autism received by the provinces which could help enhance our services here in New Brunswick. New Brunswick should be proud of what it has done for autistic pre-schoolers and students. When it comes to autistic adults ... that is another story. In Why does Minnesota have the nation's highest autism rate? City Pages looks at a study published in 2007 by Daniel Hollenbeck, the director of information technology at Thoughtful House, an autism research center in Austin, Texas who estimated that "one in every 81 births in Minnesota is a child who will be diagnosed with autism—about twice the national average." The article points out that a Minnesota Department of Health child health epidemiologist is "leery" of the Hollenbeck estimate in the absence of a population based system at the public health level in Minnesota. The article also features Tim Casemodel who is facing autism in Minnesota, having quit his job so that he can provide full time care to his 11 year old severely autistic son. His son makes only grunting sounds and still wears a diaper. Like so many autistic children it is a parent, in this case his father Tim, who actually sacrifices and fights for his autistic son's well being. The word autism has almost become a synonym for controversy. Parents are routinely mocked and demonized for seeking to cure or treat their own children. ABA, well documented as an effective intervention for autism by decades of study and numerous credible professional reviews is labeled as "unproven" by anti-ABA advocates. Terms such as low functioning/high functioning used in the professional literature are disparaged. Mentioning possible environmental contributors to autism rates is dismissed by some even though studies show that autism can sometimes occur in one but not both identical twins. Even referencing autistic disorders as .... disorders... generates controversy. But surely there is one point on which we can all agree; that everyone wishes for the safety and well being of all autistic persons. 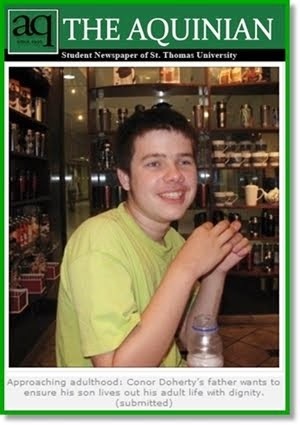 And surely we can all be thankful when news reports tell us that that two autistic persons are now safe and sound after wandering away from their homes in Utah and Boston. The Deseret News reports that a 22-year-old severely autistic woman, described as having the mental capacity of a 5 year old, who wandered away from home in Provo Utah Sunday night was found safe Tuesday morning in Salt Lake City. In Boston, earlier this week, the Herald reported that a 3-year-old autistic child was rescued from danger by police after drivers saw him riding his tricycle amid speeding traffic on a busy thoroughfare. As a parent who has experienced the fear and guilt of realizing that my autistic son had wandered away from the safety of home while I was distracted those feelings are revived every time I learn of another autistic person who has wandered away or is missing. The feeling of relief I experienced when, after calling 911, I learned my son was safe at a nearby convenience store where I quickly retrieved him, also resurfaces when the stories have good endings as they did this week in Utah and Boston. 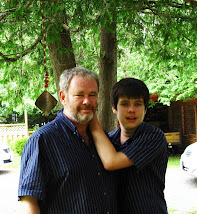 I am the father of a 12 year old boy diagnosed with Autistic Disorder and assessed with Profound Developmental Delays. I was invited to attend a showing of Tropic Thunder and yesterday I did so, albeit with serious misgivings. Having seen the movie I believe that Tropic Thunder actually helps those with intellectual disabilities, and others, by focusing our attention on how the motion picture industry exploits, and presents inaccurate, and false, images of people with intellectual disabilities and other challenges, including obesity and addiction. Tropic Thunder targets Hollywood for a number of sins, including its exploitation and presentation of distorted images of people with intellectual disabilities. The character portrayed in the movie within the movie, "Simple Jack", does not resemble in any way anyone I have ever met with an intellectual disability or developmental delay. The presentation of the character and the use of the word "retard" in some of the relevant scenes was uncomfortable for me as the father of a son with "profound developmental delays". But I did not find it offensive. and the clear targets are the vain and superficial actors who portray such distortions and the industry which greedily exploits them. I am not trying to tell others how to feel about this issue. Or whether they should see the movie. For me, Tropic Thunder raised serious issues for discussion in the way that satire does - not by a scholarly dissertation - but by actually showing, and mocking, its target - in this case the motion picture industry. Dianne Dempsey of The Age has reviewed Dear Gabriel: Letter to An Autistic Son a book by Norwegian Publisher Halfdan W Freihow which is sure to receive angry reviews from members of the Neurodiversity club. 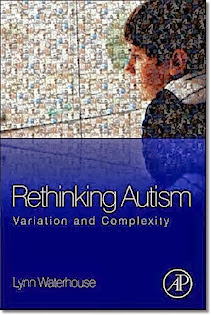 The book is written as a letter to Freihow's autistic son and it breaks two of Neurodiversity's most sacrosanct taboos. In the first instance, Freihow as the father of an autistic son and as a parent can not actually know anything about autism. Bettelheim's heirs in the Neurodiversity/"Autism" Rights movement do not believe that a parent should express independent opinions about their own child's autism. His son, while blighted, is beautiful, his wife a saint but Freihow says there are terrible days when Gabriel cries and rages until they are all overwhelmed by exhaustion and despair and the whole house explodes. Freihow says that the only reason he and his wife are still together is because they spend so much time apart. It is not only Freihow's finely tuned sensibilities but the brutal honesty with which he writes that gives his book its strength and credibility. If the book review is accurate then Freihow is following a path walked by the parents of the Autism Everyday Video, a path which saw those parents demonized by the "Autism Rights"/Neurodiversity ideologues for speaking honestly about their children, their autism disorders and autism's impact on a family. 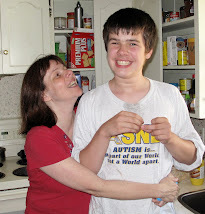 I look forward to reading Dear Gabriel: Letter to An Autistic Son. 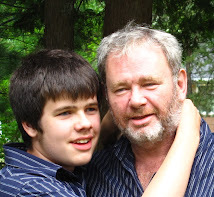 Conor and Dad love to spend time at the Saint John River which is very close to our home. Nothing too strenuous tonight. Conor relaxes and then does what many kids like to do, autism or no autism, throw rocks into the water. On the way home, an interesting sight, a tree stump within another tree that has grown around it. Takao Hensch, Ph.D., professor of molecular and cellular biology at Harvard University and professor of neurology at Children's Hospital Boston is the senior investigator of a team of scientists who have identified a protein, Otx2, which is necessary for learning. Otx2 works with other cells called parvalbumin to permit the brain to learn during important development windows. The Ivanhoe Medical Breakthroughs newswire release states the parvalbumin cells make connections in parts of the brain that process visual information and receive information from the eye. After studying the function of parvalbumin cells in mice, Dr. Hensch and his colleagues found the Otx2 proteins are sent to these cells by the retina, triggering critical periods of brain plasticity. Dr. Hensch said developmental disorders like autism are a result of impaired timing of these learning "windows," like the one during which children learn to read. He said he hopes the discovery of this protein will eventually lead to new treatments for disorders like autism, and brain injuries. The study article, Experience-Dependent Transfer of Otx2 Homeoprotein into the Visual Cortex Activates Postnatal Plasticity, is published in Cell, Vol 134, 508-520, 08 August 2008. Ontario, Nova Scotia, Saskatchewan, Canada Need Medicare for Autism NOW! 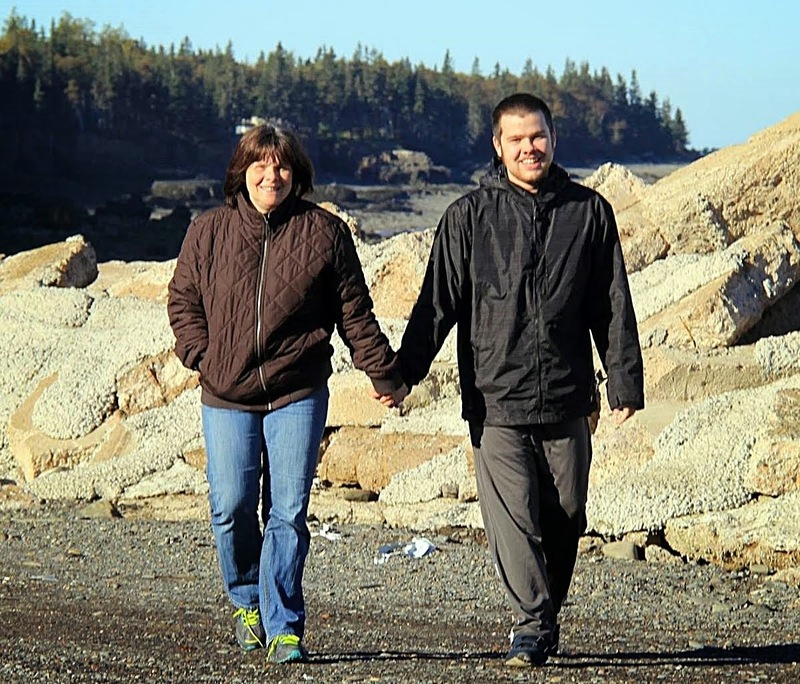 Nova Scotia has been in the news recently as a result of losing two valuable medical professionals, a husband and wife, who are moving from Nova Scotia to Manitoba so their autistic child can benefit from the autism treatment services at St. Amant. Ontario has also seen a number of news articles - Canada.com, Toronto Sun, Hamilton Spectator, and Welland Tribune featuring the plight of Ontario's autistic children languishing on waiting lists for treatment that, in some cases is never provided. Saskatchewan, Canada's Autism Wasteland, is also plauged by long waiting lists for treatment for autistic children. Canada's autistic children need more than the photo op help provided by Conservative MP's who are turning out for the cameras when Jonathan Howard runs through their constituency but who voted against Shawn Murphy's bill to amend the Canada Health to include ABA treatment for autism. NDP leader Darrell Dexter says provincial and federal health ministers need to act to place Autism Spectrum Disorder under the Canada Health Act. Dexter says the move would ensure equal treatment for all Canadian families affected by autism no matter which province they live in. The NDP are also calling for Ottawa to enact a national strategy on autism. Canada needs a National Autism Strategy. Canada Needs Medicare for Autism NOW! 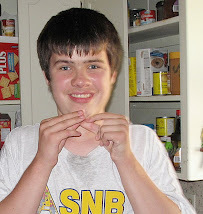 When Conor was first diagnosed with an autism disorder 10 years ago there were many purported autism treatments floating around as there still are today. Then, as now, only ABA was regarded as evidence based in terms of the quality and quantity of research supporting its effectiveness. For that reason I have been a strong supporter of government funding for ABA intervention for autistic children. I have always believed though that research into other interventions should continue; but not if it meant sacrificing some autistic childrens' development by depriving them of the well documented benefits of ABA. And some alleged treatments and interventions are harmful, or pose the risk of harm, to autistic children. If this study helps provide quality evidence for the effectiveness, or lack thereof, of a GFCF diet in treating autism that in itself will help autistic children and their families whatever the conclusions reached. If the study confirms parental anecdotal evidence of effectiveness then more parents will be likely to consider such a diet for their autistic children. If the diet is shown to have no effect in treating autism then parents currently using the GFCF diet with their autistic children and focus their efforts, time and finances on evidence supported treatment. Either way, the advancement of our knowledge about the extent of the effectiveness of a GFCF diet in treating autism, based on quality evidence, will benefit autistic children. Welland Ontario Needs Medicare for Autism NOW!